Pharmacognosy deals with the biological, biochemical, therapeutic and economic features of natural drugs and their constituents. The Pharmacology laboratory is well equipped with sophisticated equipments like student organ both assemblies and rotating drums to carry out in vitro experiments on isolated tissues ie rat ileum. The college placement cell takes care of student placement at various industries for their training programme. 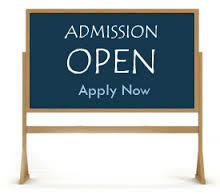 It also co-ordinate campus interview of various industries and thus provides them career opportunities.